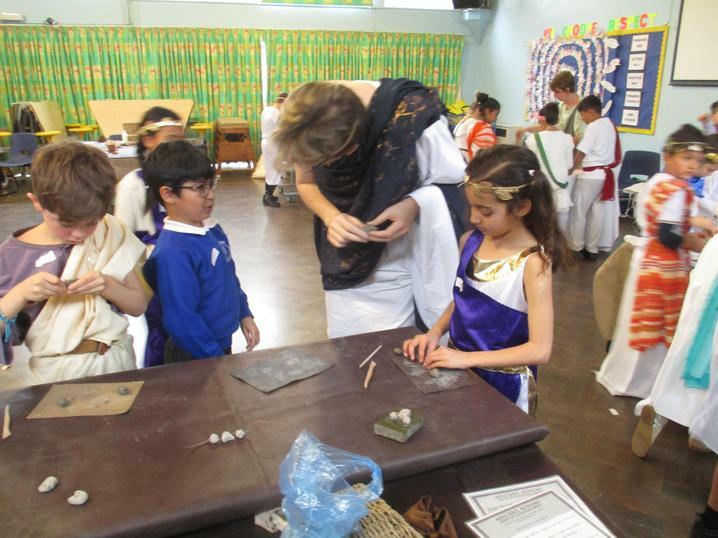 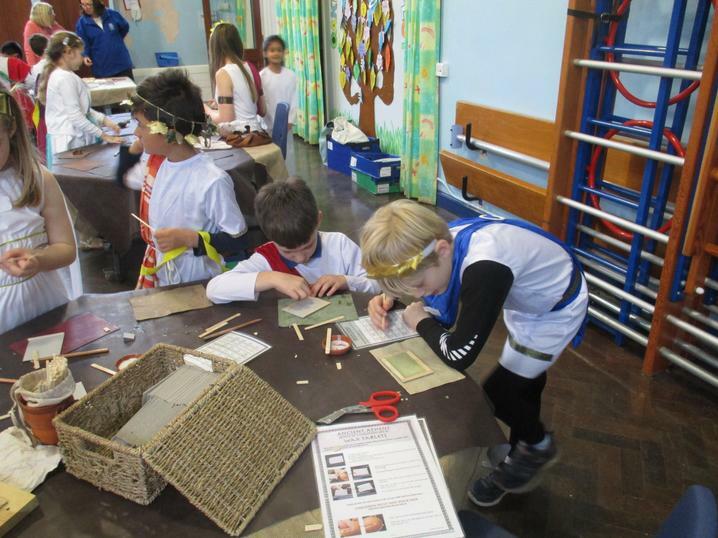 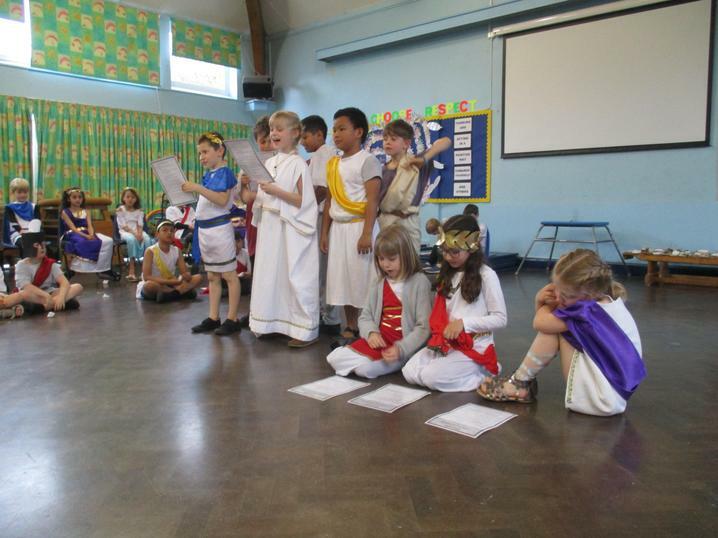 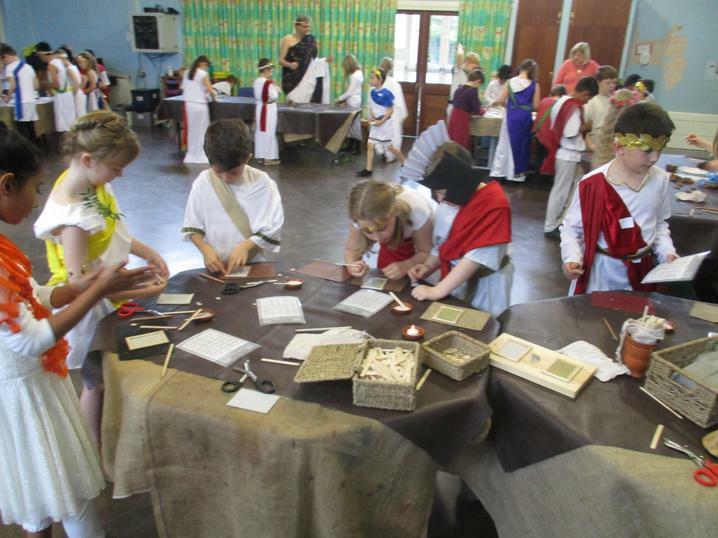 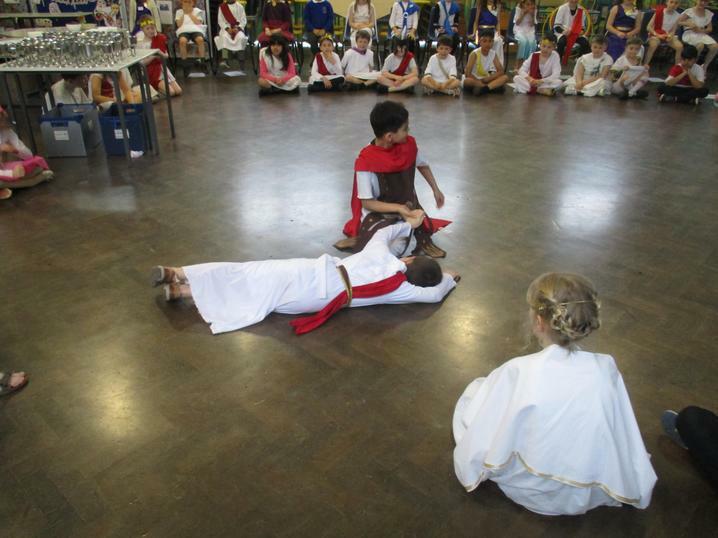 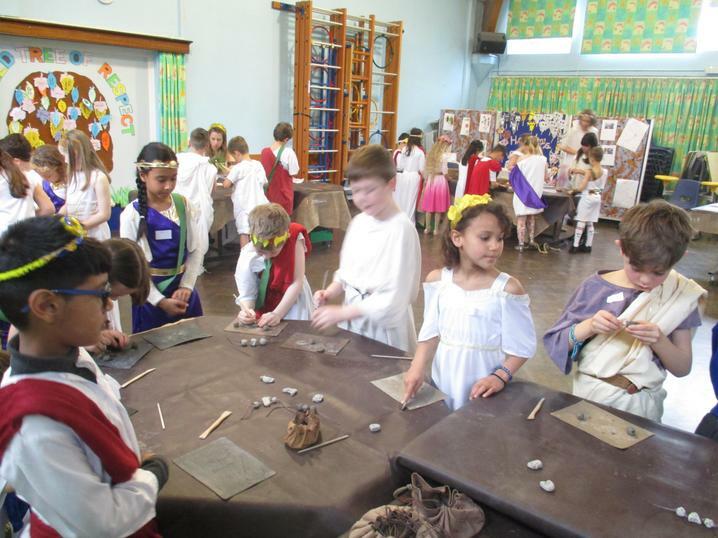 Chestnut Class had a brilliant time on Friday thoroughly enjoying the Greek Workshop! 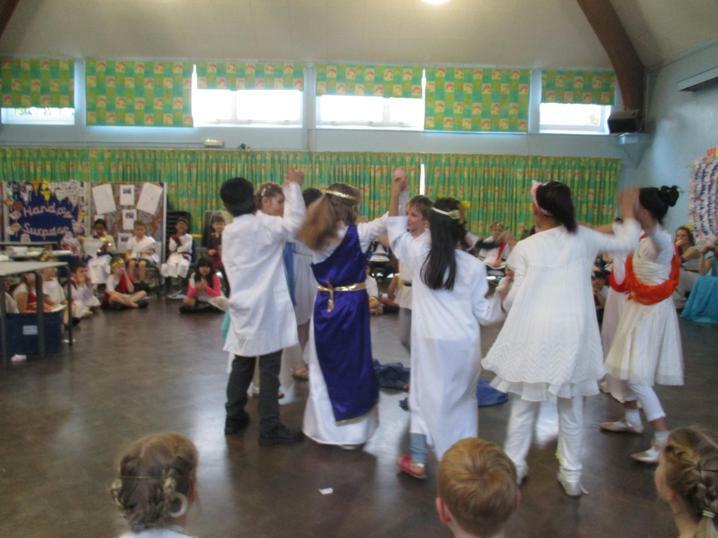 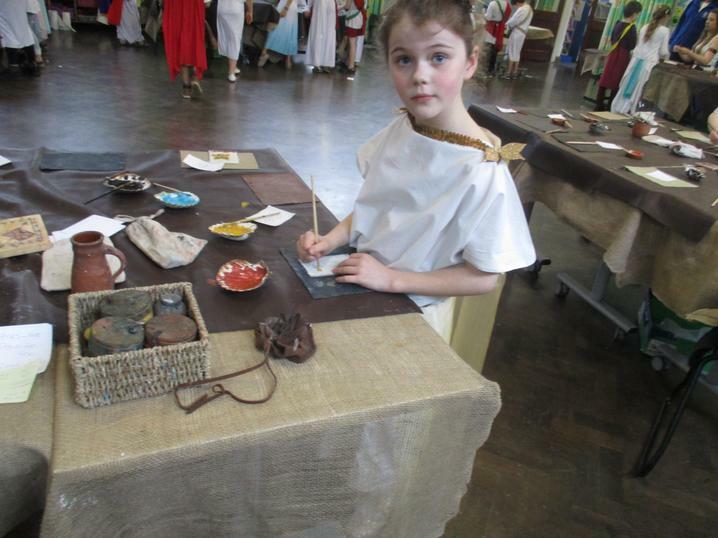 Everyone looked fantastic in their Greek outfits! 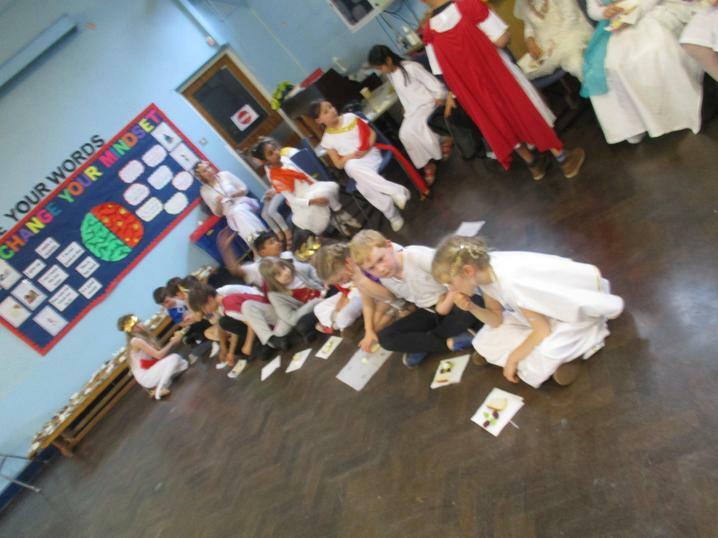 We started our day by assigning Greek names to ourselves and then made our way into the hall to begin our activities. 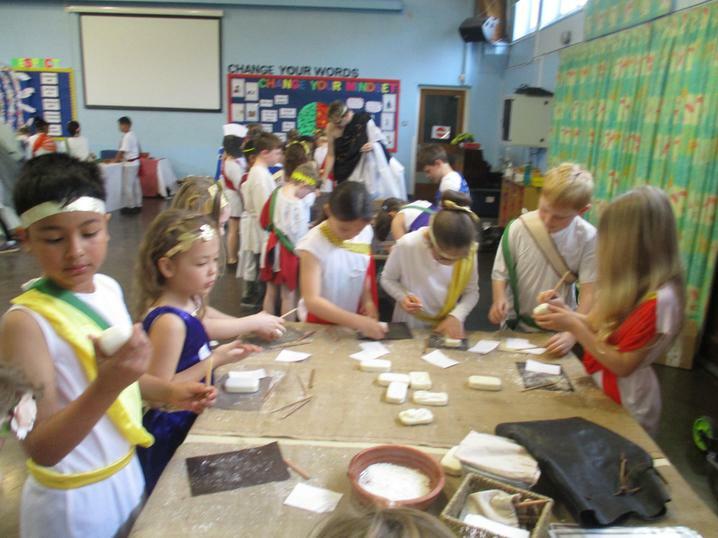 We had the opportunity to make wax tablets, paint clay tiles in a traditional style, make mosaics, create clay charm bracelets and use traditional herbs and ingredients to create authentic medicinal cures. 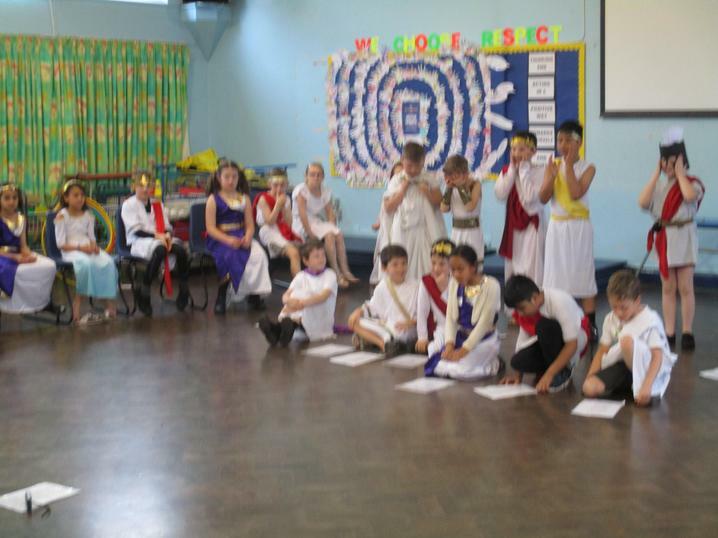 In the afternoon, we were assigned tasks in groups where we had to prepare for the banquet and provide entertainment. 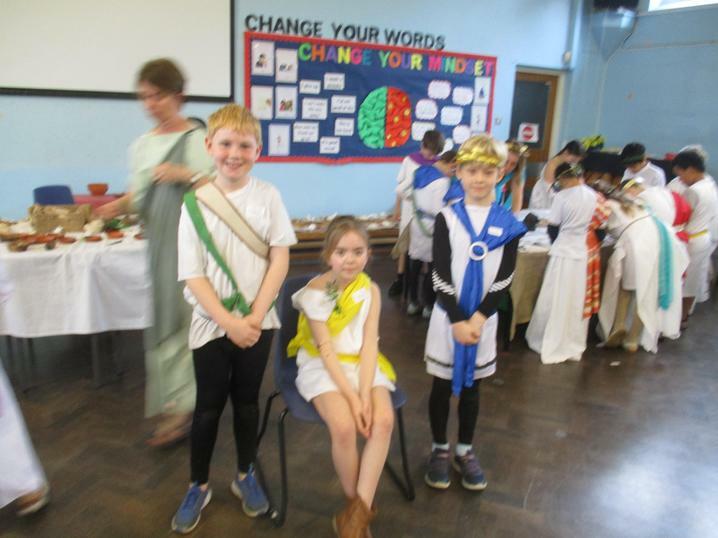 Some of us acted out plays to entertain our guests, some of us performed a dance to our guests and some of us sang a song. 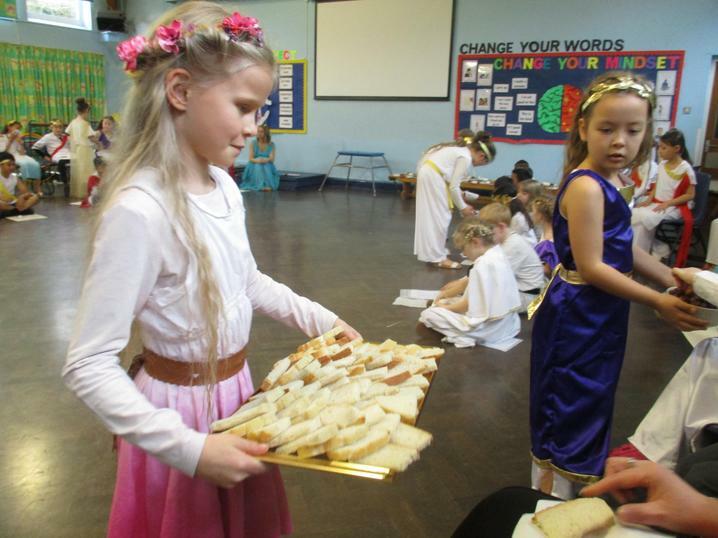 We then enjoyed a feast of traditional Greek foods which was prepared and served by the children. 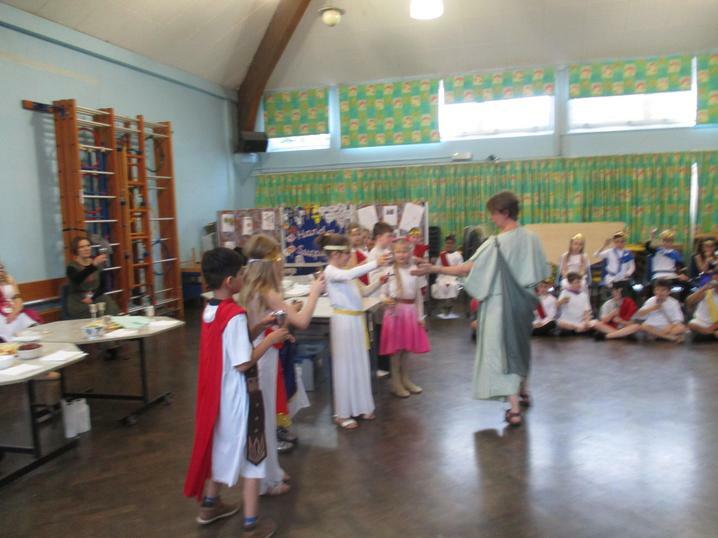 We enjoyed learning about the Battle of Marathon and were great at staying in role!